zarinahtakesapaycut: Will the truth about the PKFZ ever come out with PwC and Chin Kwai Fatt being involved in the audit? Will the truth about the PKFZ ever come out with PwC and Chin Kwai Fatt being involved in the audit? “Most importantly, the government has not presented a detailed plan on how the cost of PKFZ project can be prevented from inflating to the expected RM12.5 billion per the report by PwC (accounting firm PricewaterhouseCoopers). 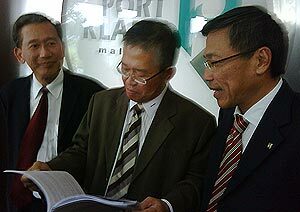 How can the truth about the PKFZ scandal ever come out when we have Chin Kwai Fatt as the man who verified that the "report was not tampered with and released in its entirety"? Any defense lawyer worth his salt will be able to raise questions against Chin Kwai Fatt and PwC. So how will the courts and the people be able to accept the numbers that have been released? "We have seen Chin Kwai Fatt rename and sell a company with 'sham directors', just to hide the contingent liabilities in PricewaterhouseCoopers Consulting Sdn Bhd (464379-U). We have seen how Chin Kwai Fatt has done all these and more. And now they want to trust an audit report he has had a major role in to investigate the PKFZ?" On what basis can any Public Prosecutor go ahead and argue his case when even the audit report on the PKFZ can be brought into question because of the actions of Chin Kwai Fatt & Co? 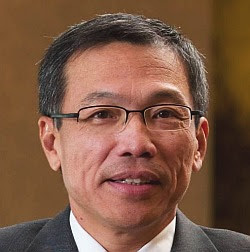 Until Chin Kwai Fatt is brought to answer the questions above, any 'scandals' or 'fraud' cases which are based upon the findings of PwC Malaysia and Chin Kwai Fatt & Co, will always be open to suspicion that the audit reports themselves might not be totally accurate.
" e-invest.com reported that, "the PKFZ audit report said that the project cost has ballooned from RM1.957 billion to a staggering RM12.453 billion since the inception of the free-trade zone in 2001.